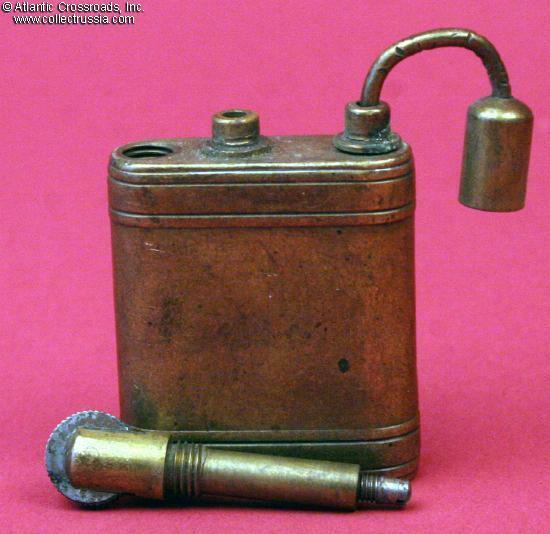 "Trench Art" WW 2 brass cigarette lighter. 1 ¼" x 2 1/8" x 3/8" Spark mechanism unscrews to allow adding new flints or fluid. Spring-loaded "U" has cup that closes over the wick to keep fluid from evaporating. Very good to excellent condition. Apparently missing only the wick. 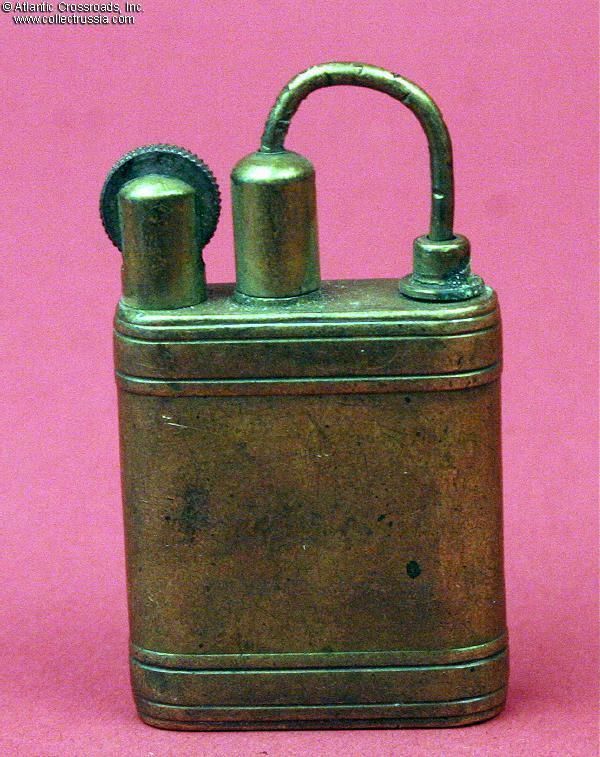 Although all of the components are present, we offer this item strictly as a curio with no warranty of its suitability for any practical, safe, or healthy purpose. 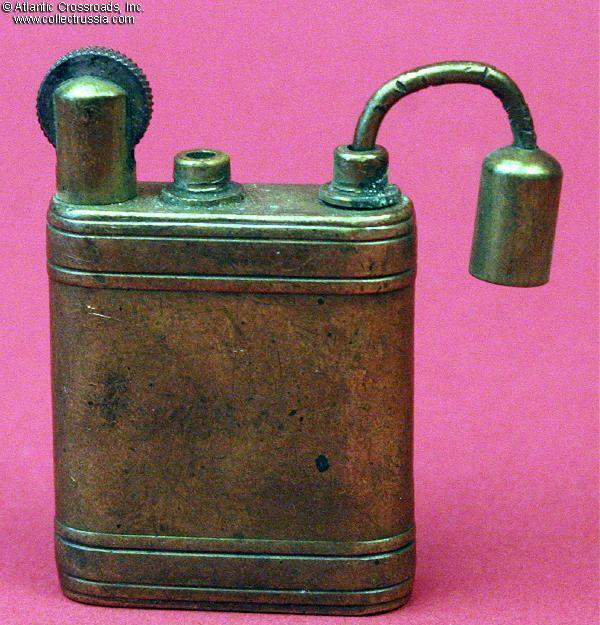 Because its lighter fluid chamber is accessed through the flint/spark mechanism, we would seriously caution its new owner against trying to use it.